A three-year-old boy was squirted with acid in an attack organised by his father who was in a custody dispute with his estranged wife, a court heard today. The father is alleged to have plotted with six others because he wanted to ‘manufacture’ evidence against his wife to show she was ‘unable to properly to care for them’. 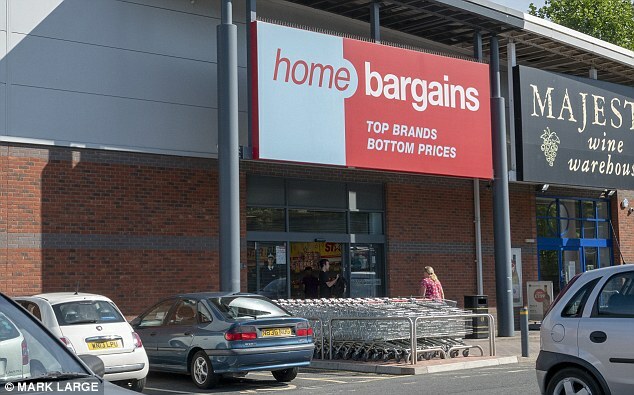 The youngster, who cannot be identified for legal reasons, suffered serious burns to his face and arm at the Home Bargains store in Worcester on July 21, last year. His 40-year-old father is charged with conspiring to unlawfully or maliciously cast or throw sulphuric acid on or at the boy between June 1 and July 22, with intent to burn, maim, disfigure, or disable the minor, or do some grievous bodily harm to him. 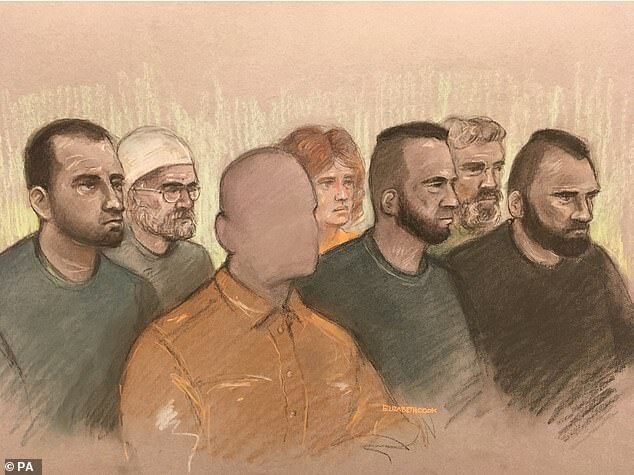 Facing the same charge are his co-accused, who are: Adam Cech, 27, and Jan Dudi, 25, both of Birmingham; Norbert Pulko, 22, of London; Martina Badiova, 22, of Handsworth, Birmingham; Saied Hussini, 41, of London; and Jabar Paktia, 41, of Wolverhampton. They all deny the allegation. Jonathan Rees QC, prosecuting, told Worcester Crown Court: ‘This case concerns a cowardly attack on a defenceless three-year-old boy in which he was squirted with a solution of sulphuric acid. ‘As a result of the attack, the little boy suffered acid burns to his left forearm and his forehead which were treated in hospital. 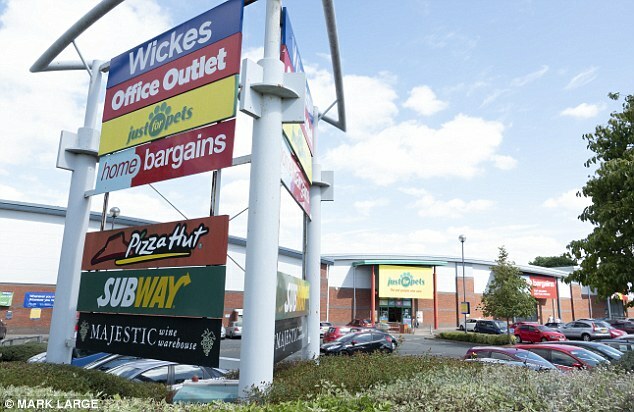 The court heard that at the time of the alleged attack the boy was shopping with his mother and siblings and Mr Rees alleged the attack was carried out by Cech. ‘It was over almost in the blink of the eye and may have gone undetected were it not for the fact it was captured on the shop’s internal CCTV system,’ he said. Mr Rees said the Crown’s case was that the alleged attack was not the first time that the young boy had been targeted, with an incident taking place on July 13 and involving Pulko, Hussini and Badiova. He told the jury: ‘The prosecution allege that the driving force behind these events was, in fact, the father of the child. ‘In April 2016, his wife had left him taking their three children with her and in due course, she issued divorced proceedings. ‘The prosecution say that it will become apparent the first defendant took the separation badly. ‘By the time of the attack he had been granted fortnightly supervised contact with his children. However, he was seeking greater access and was pursuing a court application to this effect. ‘This application was being opposed by his wife. We say the evidence suggests that in an effort to ensure his application was successful he was willing to manufacture evidence of injuries to his children in an attempt to show that his wife was unable properly to care for them, in other words she was an unfit mother. ‘Although the prosecution are not required to prove motive against any of the defendants, we suggest that his desire to show his wife in a bad light may have provided at least some of the motivation for him organising this attack on his son. ‘It would enable him to say to the court that the child had sustained nasty injuries while he was in the care of his mother.